In February 2016, our founding patron Viscount Slim told us that he would regretfully need to step down. Prospect Burma is immensely grateful for his guidance and encouragement over the first 27 years of the charity ‘s existence. 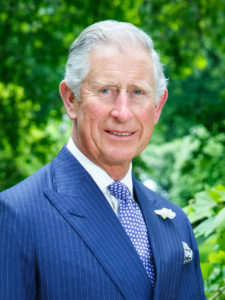 We are delighted to announce that in June HRH The Prince of Wales kindly agreed to become our new patron, initially for a period of five years. His Royal Highness has helped us over many years with supportive messages and has personally met some of our scholars and alumni. Prospect Burma is honoured that this relationship will now become even stronger in the years ahead.